Are you contemplating your first home purchase in Washington? Would you like a free gift of money to help you purchase that first home? Unfortunately, the state of Washington does not currently provide free grant money for its residents who are first time home buyers and need help with the down payment and closing costs as some other states do. However, there is still Federal Grant money available as well as grants from private foundations. This is free money that shouldn’t be passed up! The grant awards can be in the thousands of dollars. It will be well worth your time to educate yourself about the grant programs that are available to Washington state residents. 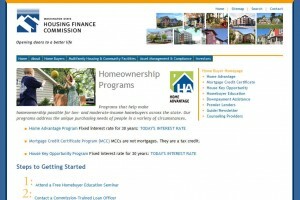 The agency in Washington that provides educational and financial help to first time home buyers is the Washington State Housing Finance Commission. There are currently no such grants available. They do have several home ownership programs available. 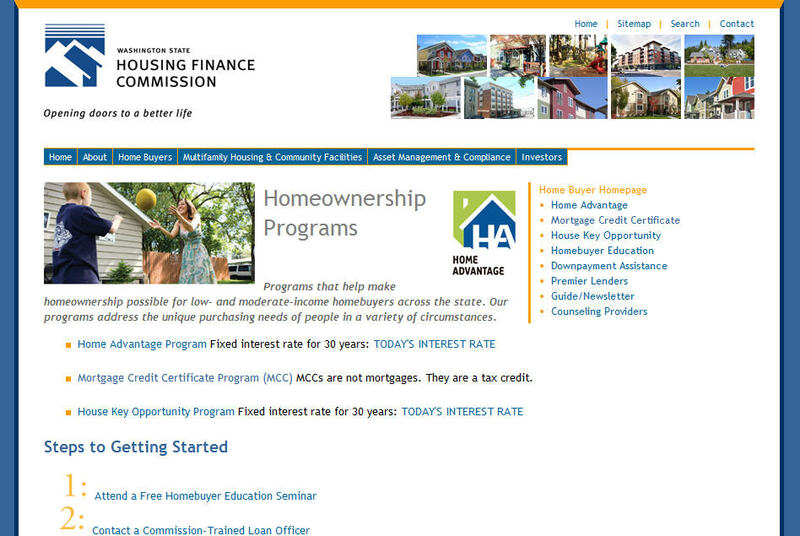 To find out the specific requirements, please visit the Washington State Housing Finance Commission website page specifically describing these beneficial programs. You can find it as here. MCCs are not mortgages… they are tax credits that put extra cash in your pocket each month, so that you can more easily afford a house payment, which means fewer tax dollars will be withheld from your regular paycheck, increasing your take-home pay. Applications are accepted on a first-come, first-served basis by a statewide network of lenders. Your lender will establish all underwriting criteria, including interest rate, down payment requirement, term, fees, points, and closing costs. Your lender will submit your loan application and notify you as to whether your application is accepted. It is strongly recommended that you contact a tax professional before applying for an MCC in order to determine the potential benefits an MCC may provide for your specific tax situation. Even though there are not any state grant programs, there are federal funds and grants available to first time home buyers in Washington through the Homes and Communities program of the United States Department of Housing and Urban Development. On their website you’ll find complete grant information, application forms that can be printed from your home computer, description of available funds, as well as many other helpful tools. Every potential first time home buyer should investigate what they have to offer. You can visit the website by going here: US Dept. of Housing and Urban Development. Also, there is a website that has a complete list of all grant programs available through the United States Federal Government: Grants.gov. You should plan to spend the required time investigating to determine how many individual grants you may qualify for. You can visit the website by going to Grants.gov and search for additional information. In addition to the grant programs described above, the U.S. Department of Housing and Urban Development provides home buyer assistance and grants in every state. There are multiple grant offerings designed specifically for people that meet certain requirements, such as grants for people with disabilities so they can continue to live independently at home. It is worth visiting HUD’s website to see what assistance is currently available. For your convenience, simply go to this website. This entry was posted in First Time Home Buyer Grants and tagged down payment assistance, HUD grants, Mortgage Credit Certificate, Washington State Housing Finance Commission. Bookmark the permalink.